France – For its sheer beauty alone, the Tarn is worthy of a climbing visit. The canyon is covered with lush vegetation and is a sight to behold during spring and autumn, when nature paints the forest in a mix of bright colours, reflected in the swirling currents of the river which cuts its way through the winding valley. I’ve been to the Tarn on three occasions and each time I have noticed an increasing amount of climbers. 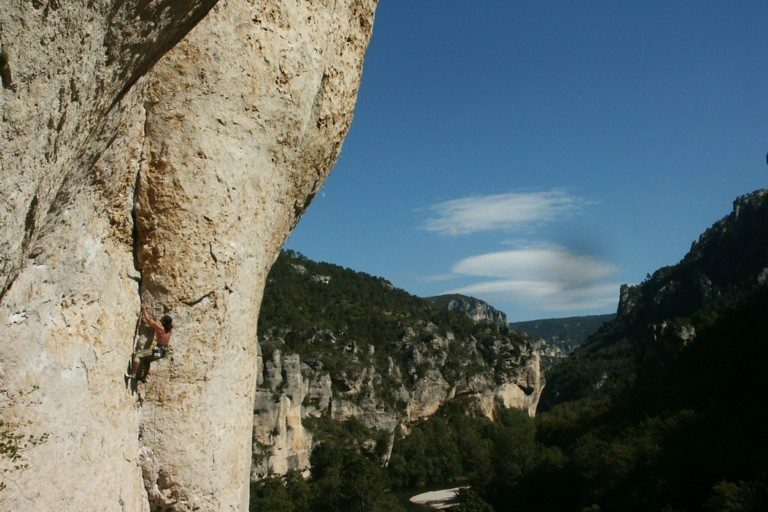 With over 500 sport routes on top quality limestone, the gorge is fast becoming one of France’s premier climbing locations. The Gorges du Tarn can be found in Southern France, situated in the department of Aveyron. It can be reached best through Millau, which is along the A75 highway and features the Millau Viaduct which crosses the gorge, and is incidentally the tallest vehicular bridge in the world. From Millau you’ll want to take the D907 towards Le Rozier and follow it past Les Vignes. Between Les Vignes and La Malène is where all the main crags are situated. You can also approach from the East, but be prepared for a long and winding road. I would recommend taking the D986 from Sainte Enimie. This roads winds its way above the valley and you’ll get a magnificent view of the surroundings including a beautiful decent into La Malène. There is a big parking spot underneath the sector l’Oasif, where most climbers stay. From here you can access almost all other areas on foot. 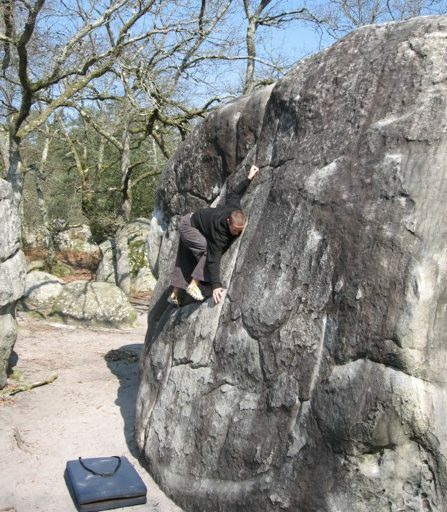 The closest comparison here is to climbing in the Franken Jura. The limestone has a lot of feature, including a smattering of finger pockets. 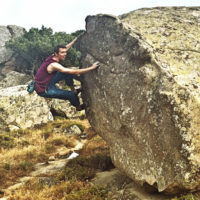 The climbing is definitely geared towards endurance, and if you’re into long 30 metre routes, there is a lot here to whet your appetite. Sector l’Amphie and Tennessee are good example with some spectacularly exposed routes that make for good photos. It’s often mentioned that the Tarn is soft on grading, and I think this might have to do with the length of some of the problems. Rest assured though, you’re not going to be given a free on-sight here unless you’ve specifically trained for these types of lengths. There are some sectors with short power routes, and sectors Baumes Hautes and Gymnaze are worth checking out if that is more your style. But be prepared, for most climbs to clock in a solid 25m or more. A number of tours feature multiple pitches, which will have you over 100m off the ground. All climbs are well bolted and I only spotted a couple of routes with dodgy plates and in some cases missing or broken bolts. Conditions are generally mild with a lot of sun during the summer. You’ll also be able to find a good mix of sun and shade depending on what you’re looking for. Many of the sectors are quite sheltered during the rain which does make climbing possible, but due to the nature of the gorge clouds often build quickly and hang around for quite a while making for a dreary experience. During summer you can also do some canoeing along the Tarn, and I’d highly recommend taking part in the experience. Equipment can be rented from any of the local boat services, and the scenery is just downright fantastic. Drifting between the gigantic yellows walls, you’ll see just how much potential is to be found along the river, and there are a number of gigantic boulders too. For a change of pace you can also visit La Jont, on the other side of the valley (by Le Rozier) which offers some very nice multiple pitch climbing. There are a number of camping sites along the Tarn, costing upwards of €6 per day. Some supplies can be bought at the local towns, with Le Rozier having a small Spar grocery store. I got my topographs from the La Malène corner shop, which also sells a number of supplies, like fresh bread. Their hasn’t been an updated guide since the original came out a number of years ago, but they are very user-friendly, albeit written in French. 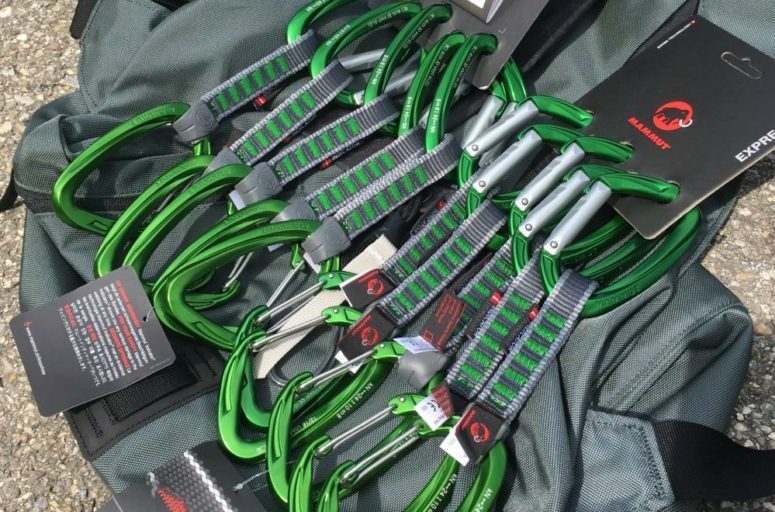 I’ve heard the Millau climbing hall keeps an updated list of all the new routes which can be copied. So there you have it, the Tarn summed up in a couple of paragraphs. I’ve visited three times now and I’m always impressed by the quality of the routes and the rock. There is a ton of stuff to do, and one could spend a lot of time working on some excellent problems. I appreciate that the weather here is more forgiving than in Verdon or Buoux, but don’t forget, this is still France and prone to some heavy rainfall. Because of its location the Tarn is also a perfect stop-over if you’re making your way down to Aragon in Spain or up towards Céüse.